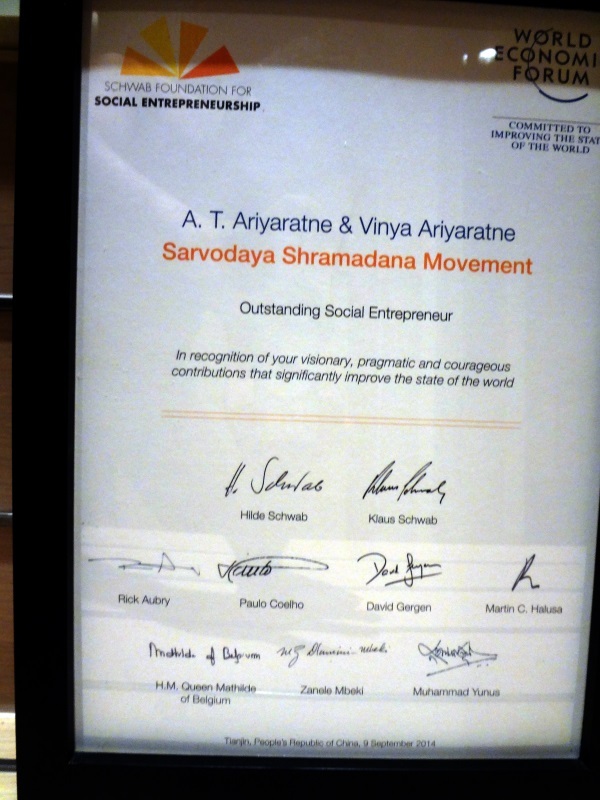 On the 9th of September, Sarvodaya received the 2014 Social Entrepreneurship Award from the co-founder of Schwab Foundation/World Economic Forum Mrs.Hilde Schwab at the World Economic Forum Annual Meeting of the New Champions in Tianjin, China. This prestigious award was in recognition of Sarvodaya’s visionary, pragmatic and courageous contributions that significantly improve the state of the world. Dr.Vinya Ariyararatne (General Secretary of Sarvodaya Shramadana Movement) received the award on behalf of Sarvodaya at a ceremony in Tianjin. 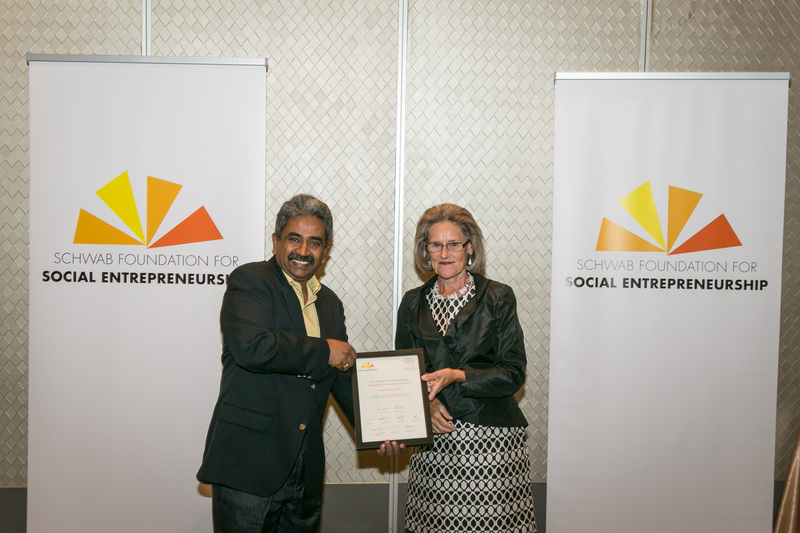 Sarvodaya is the first Sri Lankan organization to receive this prestigious recognition. The next 3 days Dr.Vinya will be meeting the best social entrepreneurs and innovators from all over the world learning from them and at the same time sharing Sarvodaya/SEEDS/DDFC experience with them.